The current state of the Web experience is far from ideal. Pop-ups are one of the biggest culprits, and they’re much more annoying on mobile, as opposed to the desktop. For one, they often take over the whole screen. And two, it’s not exactly convenient swiping them away with your fingers, unlike on a PC with a mouse. Thankfully, most browsers like Chrome, Opera, UC Browser, and Firefox, offer a built-in pop-up blocker, which you can use to swat away the pesky stuff. 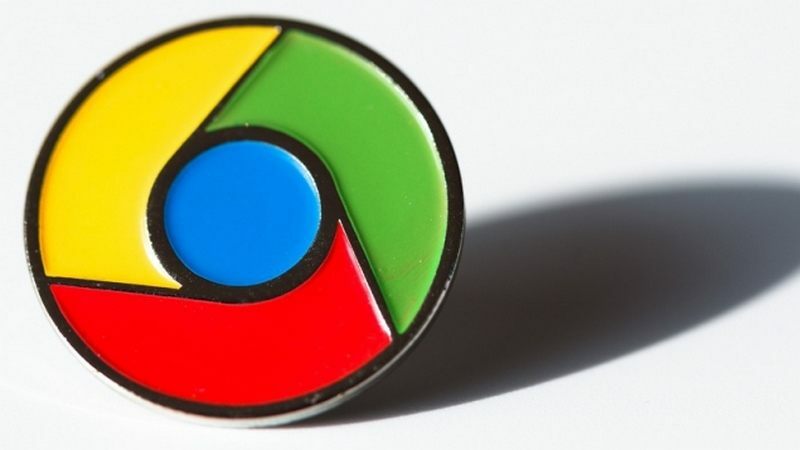 Google Chrome is one of the most popular browsers in India – across desktop, mobile, and tablet combined – and to block pop-ups with Chrome, simply follow these steps. Of course, none of the methods are completely fool-proof, so some pop-ups will inevitably squeeze their way in. Plus, websites are constantly developing new ways around these systems, which the developers then have to figure new methods for, so it’s a cat-and-mouse game. 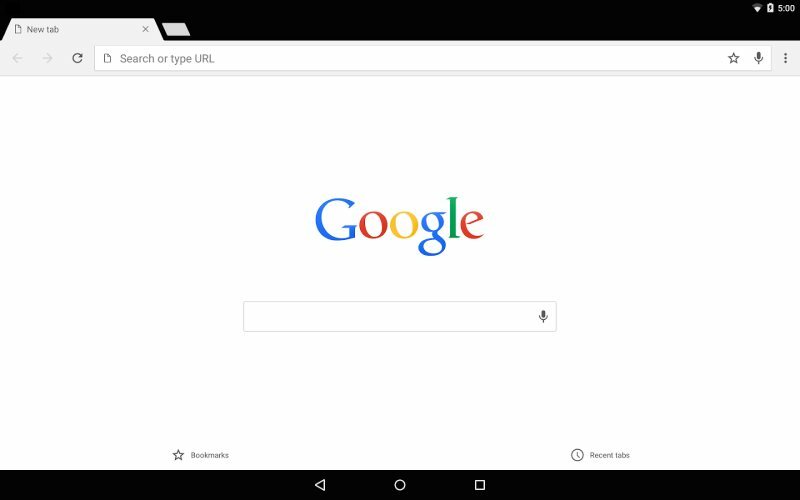 Here’s how you can block pop-up in Chrome on Android, Windows, iOS, and macOS. We’ve also written about UC Browser, Firefox, and Opera, if you don’t use Chrome. Tap the three vertical dot menu button in the top-right corner. Choose Settings > Site settings > Pop-ups. Turn on the toggle to allow pop-ups, or turn it off to block pop-ups. Choose Settings > Content settings > Block Pop-ups. Click the three vertical dot menu button in the top-right corner. Scroll to the bottom, and click on Show advanced settings. Under Privacy, choose Content settings. 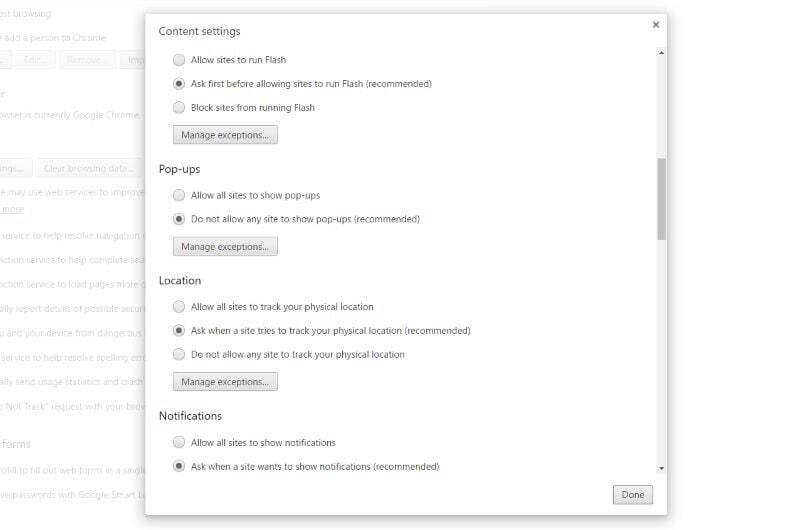 Under Pop-ups, choose from the two options to allow or block pop-ups. Have you had any trouble with pop-ups on Chrome? Share your questions via the comments below. Vocus.io is a Chrome extension that will help you to accurately track email opens and link clicks, find any person’s email from their name, automate “gentle reminder” followups and more. Want to keep better track of your email? 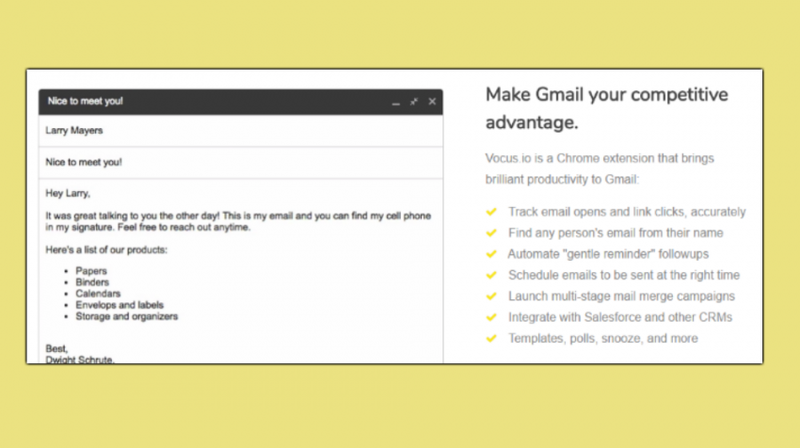 Vocus.io, is a Google Chrome browser extension that founder Ahmad AlNaimi says will “dramatically improve your productivity on Gmail” — and more. Adding the extension to Google Chrome is pretty straight forward. Just go to the Vocus.io website and click the get started tab. The extension will immediately ask your permission to integrate with your Gmail account. You will also receive an email confirming your request. You will also be prompted to add the extension to Google Chrome. Here’s how it appears when integrated. Now you are ready to start using the feature as you please. The Chrome extension carries with it the ability to: accurately track emails, find any person’s email from their name, integrate with Salesforce and other CRMs, launch multi-stage mail merge campaigns, schedule emails, and more. 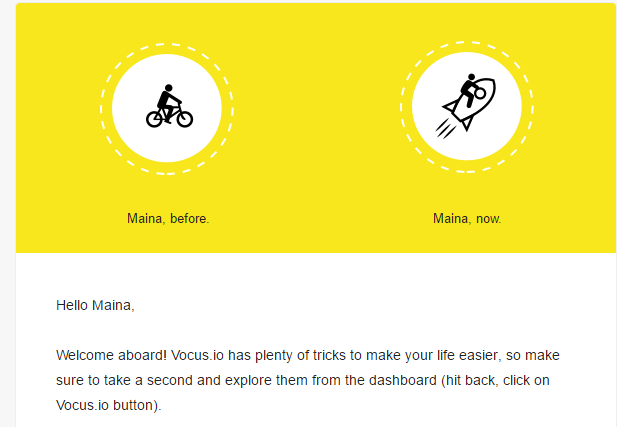 Vocus.io helps you to take the guess work out of email tracking. The extension is able to tell you not just who, but also when, where, and how your email was opened. Classic email trackers will just send you a notification that someone opened your email and that’s just about it. Vocus.io, however, goes on to tell you who that someone is, the gadget they were using and the exact time they opened the email. Another important feature that any business will find useful is the ability to automate followups. We all know that followup emails certainly double the chance of getting a response, but many times, the day-to-day business activities hinder effective followup of emails. Vocus.io, however, allows you to create what they call “a sequence of gentle reminders” to your recipients. This instantly doubles the response rate. The Chrome extension also offers you a chance to smartly organize meetings. Instead of engaging in the daunting back and forth emailing when planning a meeting, Vocus.io allows to you share your availability and poll the invitees in a single email. The poll content automatically changes to show responses from your team members. The extension also allows you to schedule your email to be sent at the most appropriate time that your recipient is most likely to see and respond to it. You can therefore write an email on a weekend or late on Sunday night and schedule it to be sent at 9 a.m. in the morning. Besides, you can also use the extension to run a multi-stage business campaign with attachments. All you have to do is to create a new campaign from Dashboard > Mail Merge and upload a CSV file. The CSV file must have a column with emails. 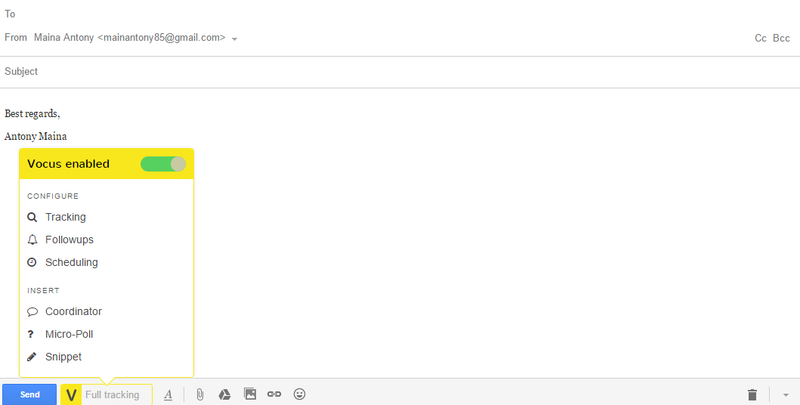 You can as well have any number of columns that will be available as variables in your subject line or message body. You can then schedule the emails to be sent at a certain time. The company offers a 30-day free trial of their extension and if satisfied with its performance then you can opt for the Starter pack that costs $4.99 per month or the Professional pack that has a limited offer of $7.99. Vocus.io is truly an effective email management tool that will dramatically increase your productivity. The downside is that it is only works with Gmail for now, but in an email to the Small Business Trends, Ahmad says that they will soon be bringing support for Outlook.